Leeds United’s long-time target and former player, Kyle Bartley is currently being sought out by West Brom. 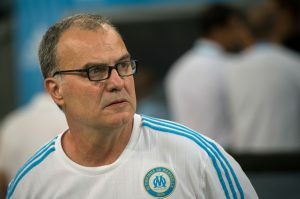 The Baggies have already contacted Swansea City with an offer which places Marco Bielsa in a difficult spot ahead of the 2018/19 campaign. The Argentine head coach has made just one signing in Lewis Baker this summer despite getting linked with numerous talented players. Bartley could be the ideal addition to stiffen up the vulnerable backline and also one who would warm the hearts of the Leeds faithful. The 27-year-old spent the 2016/17 season out on loan at Elland Road and made a staggering 50 appearances for the club. He also contributed with 6 goals and 2 assists on the offensive end to help push the club for promotion. Not only was he named in a couple of EFL Championship Team Of The Week awards, Bartley seemingly was a perfect fit with the Peacocks. After the completion of his loan agreement, he spent the past season in Wales, making just 12 appearances due to an agonising knee injury. With Alfie Mawson, Frederico Fernandez, Mike van der Hoorn and Jordi Amat already in the club, Bartley has served as a surplus to the Swans’ requirements. Such was the case even when Ashley Williams was in the side and he had to be sent out on loan to Birmingham City in 2014. Bartley is a product of the Arsenal youth academy, having joined the side from Bolton Wanderers back in 2007. He captained the Gunners reserve squad and led the youth side to the Premier Academy League and the FA Youth Cup in 2009. He was lent out to Sheffield United and Rangers to further his development before getting sold off to Swansea in 2012. The Englishman was a highly promising young talent with 8 caps to his name for his country’s U16 and U17 side. Even after six seasons at the Liberty Stadium, Bartley has just 38 senior team appearances for City. He is clearly not up for much involvement in the coming season as well, which could sanction his departure sooner rather than later. If Albion has tabled a deal already, Leeds will have to step up their pursuit for the centre-back. The Peacocks can get him on the cheap if they get the lead over West Brom in the race. Read More: Impressive Leeds United Ace Signed On Loan By Blackpool: Should Bielsa Have Held On To Him? Given the player’s previous association with the club, Bielsa should use that connection to convince him over a move back to West Yorkshire. Rangers Eager To Sign 27 Y/O Swansea City Defender: A Wise Move For Gerrard? 3 Defenders Marcelo Bielsa Should Target To Strengthen Leeds United Backline For The Upcoming Season! Leeds United Set To Hand Their New Manager A £20m War Chest: 3 Possible Signings He Can Go After! 3 Replacements For 33 Y/O Defender High On Gerrard’s Wishlist At Rangers Including This Everton Star!